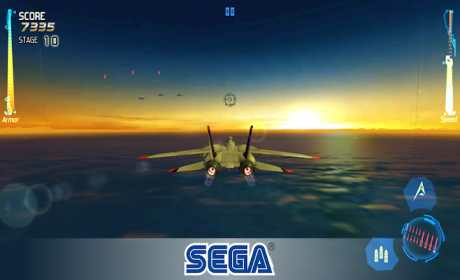 After Burner Climax is fast and frantic arcade-style action, putting you in the cockpit of the world’s fastest fighter jets. 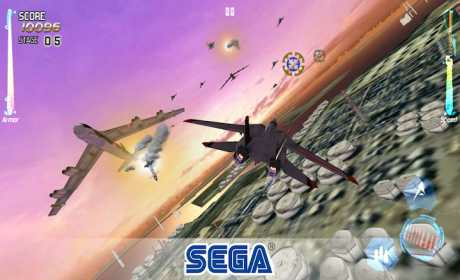 Dodge planes, rockets and bullets while trying to target multiple on-screen enemy aircraft. Built for all skill levels, everyone will be able to take to the skies and blaze through a branching storyline of over 20 stages. Unlock achievements along the way to activate exclusive power ups using your experience and expertise. -CLIMAX MODE: When your Climax Gauge is full, time will slow down and your lock-on cursor will expand. This is your chance to lock on to enemies en masse and take them all down at once! © SEGA. All rights reserved. 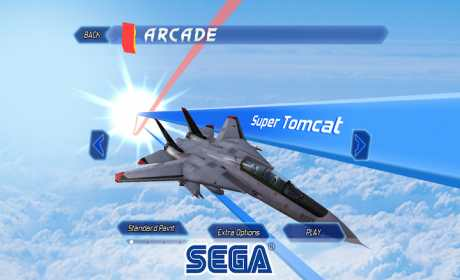 SEGA, the SEGA logo, After Burner Climax, SEGA Forever, and the SEGA Forever logo are registered trademarks or trademarks of SEGA Holdings Co., Ltd. or its affiliates.